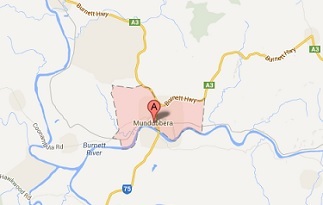 Mundubbera is a town in the Wide Bay - Burnett region of Queensland, 405 kilometres from Brisbane. European settlement took place in the late 1840s, with migrants from Germany, Britain and the Netherlands, settling in the early 1900s. Its railway arrived in 1914. Henry Zipf planted the first citrus orchards in 1933 and soon the region became a major producer of export citrus. Mundubbera often refers to itself as the "Citrus Capital of Queensland". This index is a comprehensive record of burials in the area. The headstones in the cemetery cover burials starting in 1911, with the latest in this index being in 2008 when the transcription was made. It's an essential genealogy tool for anyone with ancestors from the region.